Two weeks before our life changed forever, Tahlia got a cold like any other normal kid with a runny nose and fever. 2016 is a year our family will never forget. Tahlia was a happy, energetic, sweet, and healthy child. Two weeks before our life changed forever, Tahlia got a cold like any other normal kid with a runny nose and fever. After a week of the cold not going away, we took her to the pediatrician where they diagnosed her with a cold virus. As the next week rolled around, Tahlia started to feel better in time for her cousin’s birthday party that Saturday, which she had been looking forward to for months. Sunday morning, August 21st, we all went to the zoo with some family friends and Tahlia was running around like every other kid at the zoo, but then she told her parents around lunch time she wasn’t feeling well so we headed home. She fell asleep in the car and slept for a couple hours once we reached home. When Tahlia woke up, she started to vomit every hour so we took her to the Urgent care. They checked her for a UTI which came up negative and diagnosed her with a virus and being dehydrated. The next morning, Monday, August 22nd, her dad had to wake Tahlia up 3 hours later than she normally wakes up. Since she was so tired this made us worried so we took her back to the pediatrician. Again, Tahlia was diagnosed with being dehydrated and having a virus, and was sent home. As the day progressed, Tahlia continued to sleep all but 2 hours. Her mom came home that evening and tried to wake Tahlia up while she was on the couch, her lips were slightly blue. Tahlia would just fall back to sleep when trying to wake her up until finally her eyes opened and Tahlia had this puzzled look on her face, not recognizing her mother. Right way her mom trusted her “motherly instinct” and took Tahlia to the children’s hospital Emergency Room (ER). We thought we would get antibiotics and go home so her mother just took her to the hospital and that is when our journey began. As soon as they doctors took one look at Tahlia she was sent directly to the PICU floor where she was eventually diagnosed with Myocarditis, and subsequently intubated for eight days. On the afternoon of day nine in the PICU, she was moved to the Pediatric floor where she only had to stay one night due to her heart healing so well. The cardiologist during hospital rounds said to the group of doctors about her improvement, “We are either really great doctors or she is Super Girl!” We are inclined to believe it was a combination of both. We could not have been luckier to be at such a great hospital, with their support, love, and care for Tahlia. 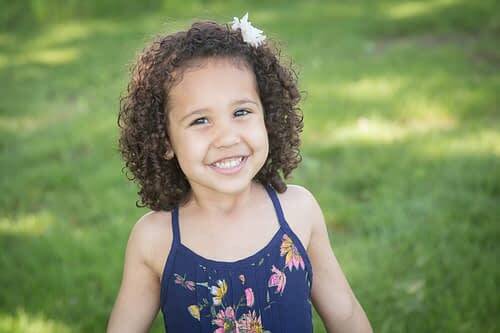 Once we came home, Tahlia was required to have weekly to bi-weekly appointments with the cardiologist for EKG’s, bloodwork, Echoes, and daily medications to help with her heart. After a month, Tahlia was taken off all medicine and cleared to come back yearly to the pediatric heart doctor to monitor her heart as she grows. Tahlia is a very lucky Myocarditis survivor; her heart is well on its way to making a full recovery! In closing, we thought we would share the following anecdote: While in the hospital, Tahlia’s first smile post intubation came as she listened to her favorite song “Try Everything” from Zootopia. Here are some of the words we feel perfectly encompass her fighting spirit.